Less well known than the famous cities of Dubrovnik and Split, the pretty seaside town of Šibenik lies on Croatia’s north Dalmatian Coast. The surrounding region is home to beautifully preserved historic towns, sleepy offshore islands and some of Croatia’s most impressive national parks. 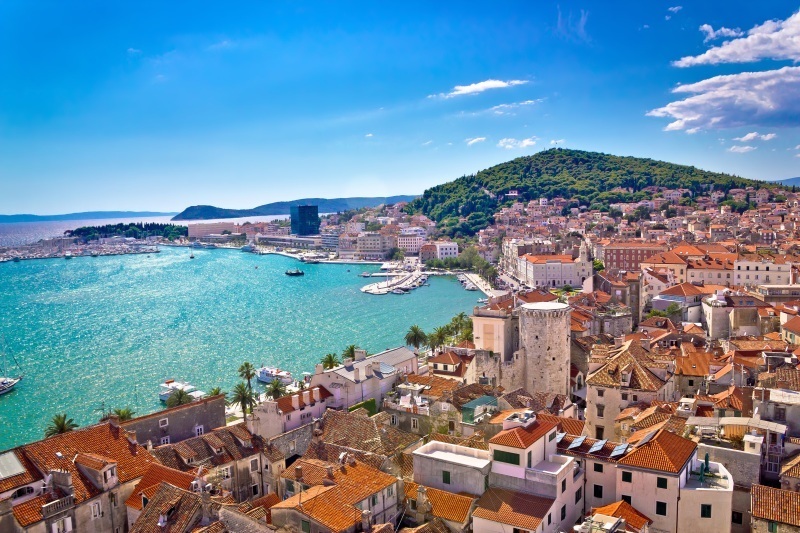 During this holiday you can discover the charms of Šibenik, Split and Trogir along with unique Dalmatian culture and traditions, while immersing yourself in the relaxed lifestyle and unspoiled beauty of the Šibenik Riviera. Your accommodation is located in the stunning Solaris Resort, just 6km from Šibenik. Hotel Jure is a sophisticated, contemporary-style hotel, with an airy and elegant design. The hotel boasts two concept restaurants and a delightful bar, and the Jure Spa can help you to relax and feel your best, with specially selected sea themed treatments. This hotel has a stunning setting in the Amadria Park Resort, right beside the clear waters of the Adriatic (pebbly beach) and 6 km from the historic town of Šibenik. Along the waterfront you’ll find beach facilities, a typical tavern featuring local specialities, a pirate-themed bar, an ice cream parlour and more. Hotel Olympia, located approx. 1 km from Vodice town centre, is a perfect combination of traditional and modern offering a wide range of facilities and amenities such as restaurants, bars, outdoor pool and wellness centre to name a few. Surrounded by pine and olive trees, sounds of crashing waves and idyllic scenery, this hotel is ideal for a relaxing break on the Croatian coastline. The nearby pebble beach is only 50 metres away from the hotel.